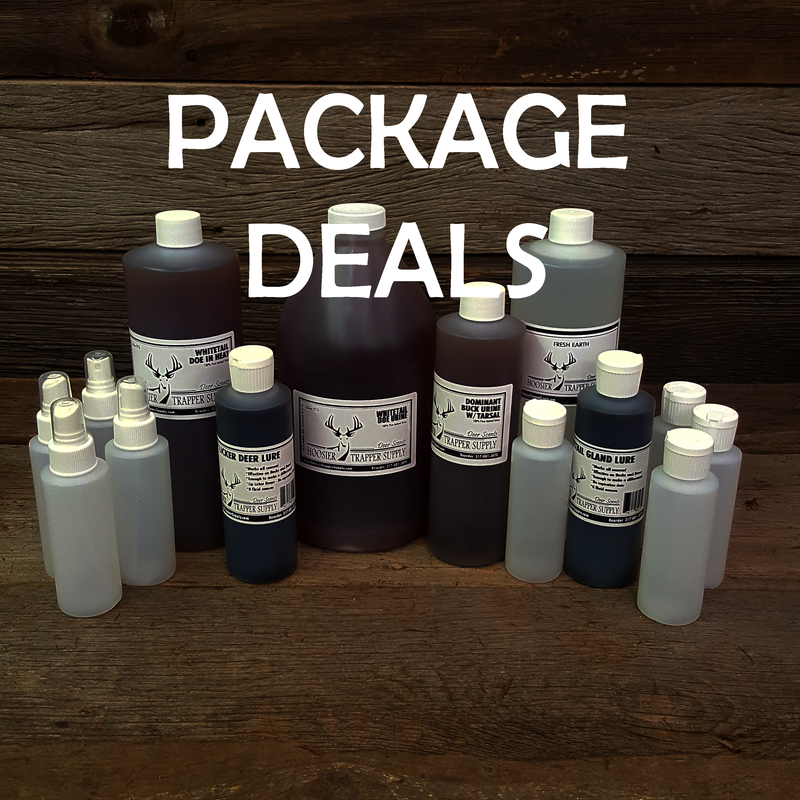 HTS Cover Scents - Hoosier Trapper Supply Inc.
Hoosier Trapper's Leatherwood Animal Urines are good quality and collected from meat fed animals. 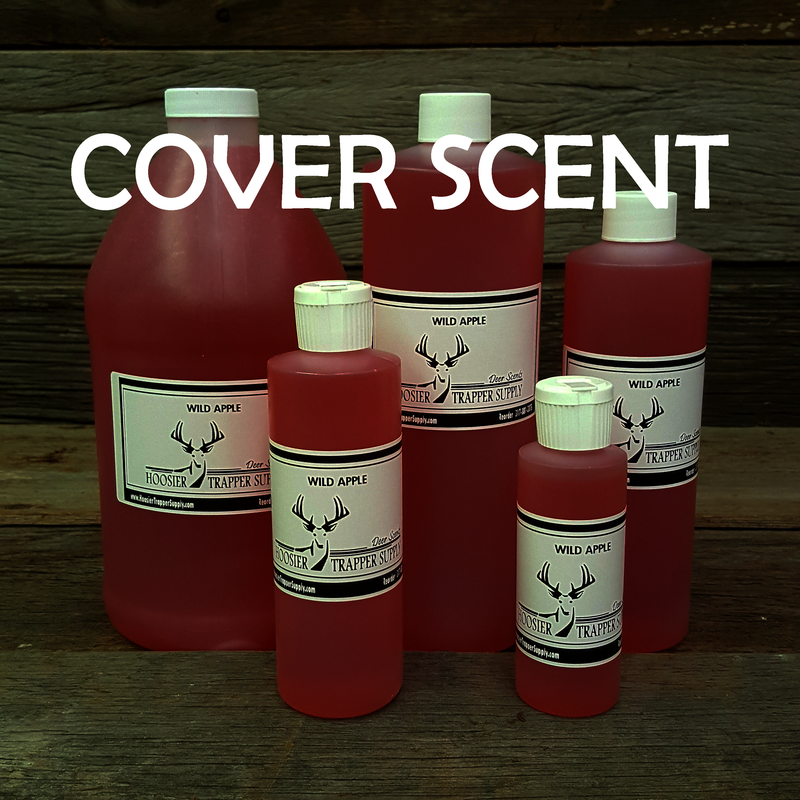 Great cover scent for Deer Hunting! Looks like water - smells like dirt. One great cover scent! Takes the guess work out of cover scent - what could be more natural? 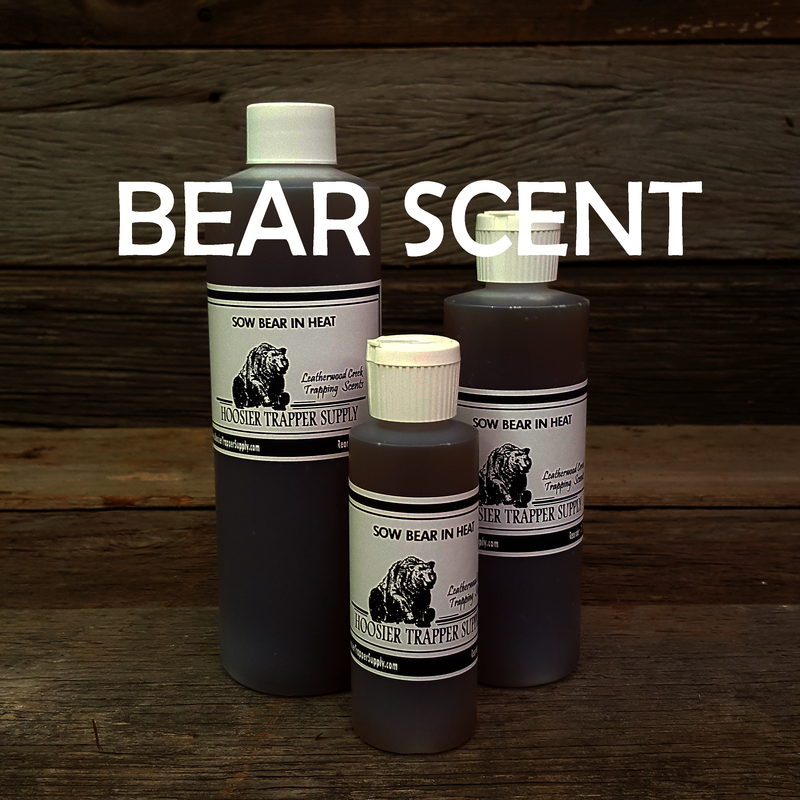 Use on boots, clothing, around stands, etc.. Good to use with hunting clothing when in storage or not in use - permeates the clothing with the smell of Fresh Earth. Wild Apple works as a cover scent as well as a food attractant. Persimmon works as a cover scent as well as a food attractant. Deer love persimmons. Has an oil base. What deer doesn't like Acorns? Great food attractant as well as a cover scent. 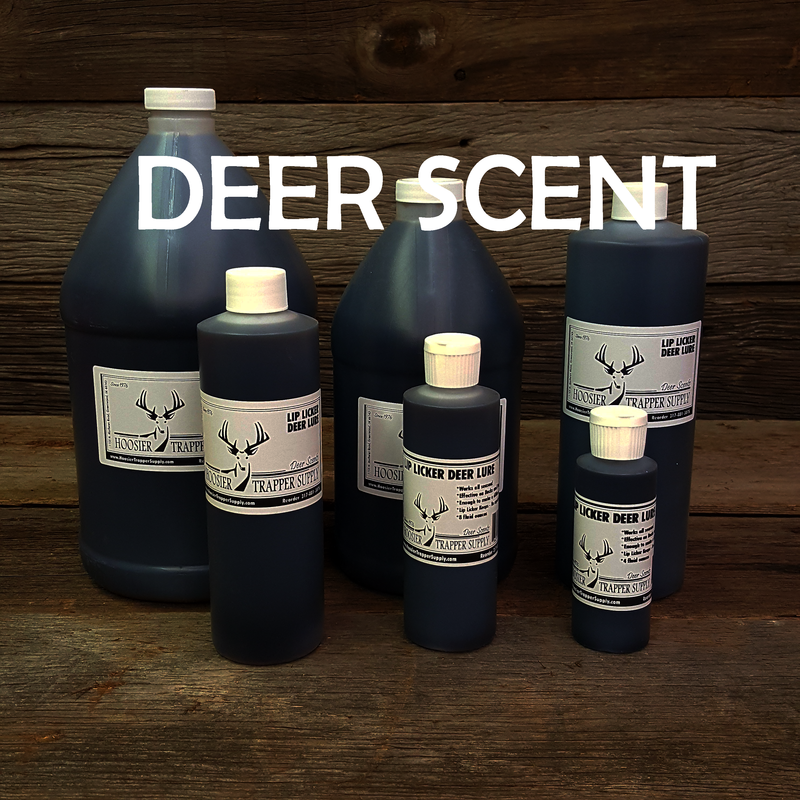 Great as a cover scent for deer and big game hunting. 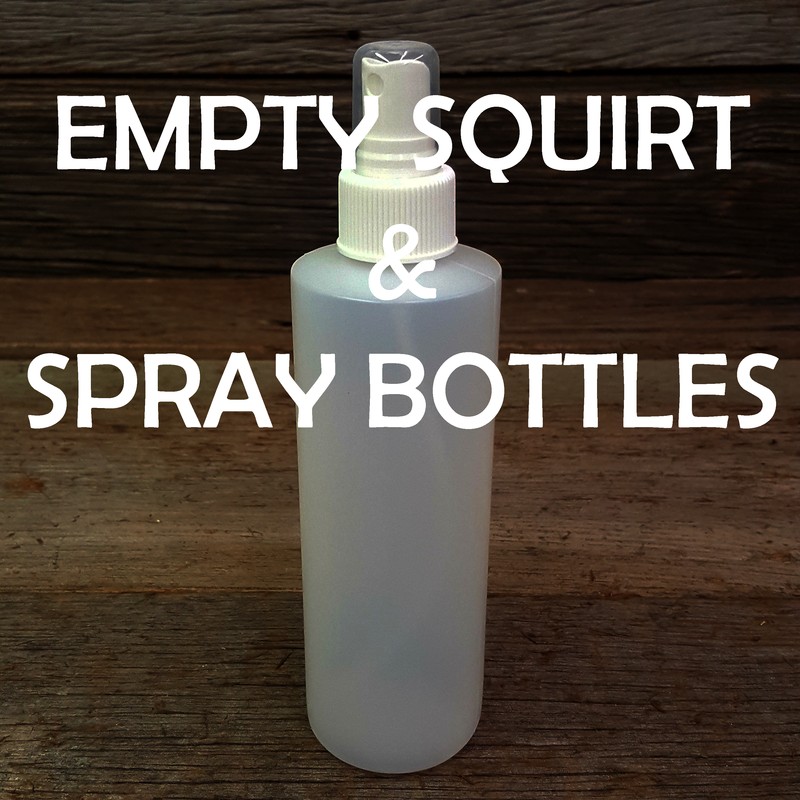 Works well as an attractant for predator trapping in cold weather. Good Strong Stuff!